Recently I was asked to give two young children both 6, (though if you ask them they will say 6 and 3/4 and 6 and a half) a session in archery. These are some thoughts and observations, I hope you find it useful. Normally I coach adults or children slightly older as I believe they have a better grasp of the concepts. Also at this early age their muscles and coordination is still developing so you shouldn’t start any earlier in my opinion. One thing is for sure. Coaching young children is very different to coaching adults. I think it is far more tiring for the coach, but can be very rewarding for both coach and them, as to the young kids even missing is good. They have no expectations of success but just enjoy the moment. Maybe that is something we can all learn from. Though I have basic beginners take down bows I decided to use a simple fibre glass bow which is easier to use and more importantly lighter in the hand for young people. I picked it up from Merlin Archery but am sure other retailers would have something similar. Details are below. As with adults you must set the ground rules long before they get near a bow. No running at any point. If I say stop we stop. Remember to talk to them, not at them. Its vital to make parents aware of their responsibilities of care and behaviour. Find out from the parents if the kids have any health issues, maybe they are just getting over a cold which might make them tire quickly. One tip I’ve found is to always smile when talking to children ensuring you make eye contact, as children love this form of engagement. Even if they miss, smile and tell them what they have done well, it is very easy to hit their confidence and you want them to enjoy the occasion. 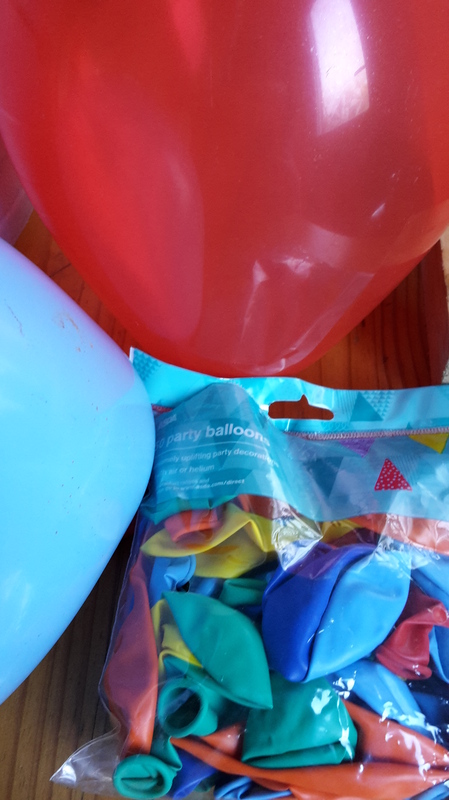 The thing I have discovered with teaching kids is to make it fun, so I have found showing the basics then breaking it into two sessions and having something like balloons on the target in the second half makes it fun and keeps their attention. As an adult or experienced archer you might shoot 4/6 or more arrows when practising. Children have a shorter attention span so have them shoot only a couple at a time. I took the kids in turn to shoot and had the other sat in a chair watching. This means they can be relaxing watching and you as a coach have a safe place where they are located. Couple of other things to consider. They don’t have a clear concept of aiming so tend to be instinctive in their approach. Light is right – use the lightest bow possible and I don’t just mean draw weight but also light physical weight. Children can get cold quickly as well as tired so keep an eye on this. I was running the session on a winter’s day so the cold was a potential problem but equally in the summer heat can be a problem with sunburn or heat exhaustion. Childrens coats tend to be quite bulky so make sure arm bracers fit and hold the sleeve back. Don’t locate the shooting line too close to the targets as arrows can bounce back due to not having enough energy to penetrate some target bosses. Kneel at their side as this helps to keep eye contact, don’t tower over them as this can be intimidating. One way of making it fun can be to put a few balloons on target boss and have them try and burst them. This is a good activity for them after a long break say after lunch. Likewise having some comic target faces can make it fun. I feel it is vital to engage the parents too and get them shooting so they know what the kids are having to do. I have the parents or guardians present at all times too, as archery is not a creche and you as a coach should not be used as one. It also introduces archery as a family experience which they can share. I hope you have found this useful and no doubt there are other tips you can pick up from other more experienced archers and coaches. I’m sure there are other coaches out that that can offer some thoughts or add their advice.